Considering its scope, range, and consequences, there is no doubt that the global financial crisis that started on September 2007 had a potential to create not only instability, but also a transformation in the global financial and political system. Occupy Wall Street movement, the St. Paul’s Cathedral protest in London, the southern European protest against austerity, and the social protest in Israel indicated that something was happening (Brown 2015: 30). Asa-El, A. (2017, February 4). The Harder They Fall: The Demise of Israel’s Tycoons Billionaire. The Jerusalem Post. Available at: https://www.jpost.com/Jerusalem-Report/The-harder-they-fall-477139. Bagehot. (2018, June 7). Good Capitalism v Bad Capitalism. The Economist. Available at: https://www.economist.com/britain/2018/06/07/good-capitalism-v-bad-capitalism. BBC. (2017, August 27). Theresa May Attacks ‘Unacceptable Face of Capitalism’. BBC. Available at: https://www.bbc.co.uk/news/uk-politics-41065485. Bloomberg. (2013, May 22). Noble Energy Announces Karish Discovery in the Levant Basin Offshore Israel. Available: http://www.bloomberg.com/article/2013-05-22/aLhHVB.B_xLs.html. Accessed 14 June 2014. Booth, R., & Carrington, D. (2018, July 30). The Brexit-Influencing Game: How IEA Got Involved with a US Rancher. The Guardian. Available at: https://www.theguardian.com/politics/2018/jul/30/brexit-influencing-game-iea-us-rancher-tucker-link?utm_source=esp&utm_medium=Email&utm_campaign=GU+Today+USA+-+Collections+2017&utm_term=282307&subid=26642073&CMP=GT_US_collection. Bump, P. (2016, December 22). The Mercer Family Made One of the Best Political Investments in History. The Washington Post. Available at: https://www.washingtonpost.com/news/the-fix/wp/2016/12/22/the-mercer-family-made-one-of-the-best-political-investments-in-history/?utm_term=.965e1dced88f. Cadwalladr, C. (2017, February 26). Revealed: How US Billionaire Helped to Back Brexit. The Guardian. Available at: https://www.theguardian.com/politics/2017/feb/26/us-billionaire-mercer-helped-back-brexit. The Economist. (2012, May 26). Toxic Shock. Available at: https://www.economist.com/international/2012/05/26/toxic-shock. Editorial. (2018, February 11). Netanyahu’s Attack on Investigators Feels Familiar. New York Times. Available at: https://www.nytimes.com/2018/02/11/opinion/netanyahu-corruption-investigators.html. Even, S. (2009). An Historic Development in Israel’s Natural Gas Industry. INSS Insight No. 100 [Online]. Available: http://www.inss.org.il/index.aspx?id=4538&articleid=2028. Accessed 13 December 2014. Gray, R. (2017, January 27). What Does the Billionaire Family Backing Donald Trump Really Want? The Atlantic. Available at: https://www.theatlantic.com/politics/archive/2017/01/no-one-knows-what-the-powerful-mercers-really-want/514529/. Hilton, A. (2016, February 25). Anthony Hilton: Stay or Go—The Lack of Solid Facts Means It’s All a Leap of Faith. Evening Standard. Available at: https://www.standard.co.uk/comment/comment/anthony-hilton-stay-or-go-the-lack-of-solid-facts-means-it-s-all-a-leap-of-faith-a3189151.html. Hovel, R., & Gueta, J. (2018, February 26). Netanyahu Confidant’s Favors in Telecoms Graft Case Worth Over 1 Billion Shekels, Prosecution Claims. Haaretz. Available at: https://www.haaretz.com/israel-news/.premium-netanyahu-confidant-s-favors-in-graft-case-worth-1-billion-shekels-1.5849946. Kovács, Z. (2018, March 9). Here’s What We Mean When We Talk About Orbanomic. About Hungary. Available at: http://abouthungary.hu/blog/heres-what-we-mean-when-we-talk-about-Orb%C3%A1nomics/. Krastev, I. (2012, December 12). Why Poland Is Turning Away From the West. New York Times. Available at: https://www.nytimes.com/2015/12/12/opinion/why-poland-is-turning-away-from-the-west.html. Mayer, J. (2017b Issue, March 27). The Reclusive Hedge-Fund Tycoon Behind the Trump Presidency How Robert Mercer Exploited America’s Populist Insurgency. The New Yorker. Available at: https://www.newyorker.com/magazine/2017/03/27/the-reclusive-hedge-fund-tycoon-behind-the-trump-presidency?reload=true. Media Research Center. 2017. Annual Report 2017. Available at: https://www.mrc.org/annual-reports. Mider, Z. (2016, January 20). What Kind of Man Spends Millions to Elect Ted Cruz? Bloomberg. Available at: https://www.bloomberg.com/news/features/2016-01-20/what-kind-of-man-spends-millions-to-elect-ted-cruz. Monbiot, G. (2017, May 17). Dark Money Is Pushing Democracy in the UK Over the Edge. The Guardian. Available at: https://www.theguardian.com/commentisfree/2017/may/17/dark-money-democracy-billionaires-funding?CMP=share_btn_link. Monbiot, G. (2018, July 18). Dark Money Lurks at the Heart of Our Political Crisis. The Guardian. Available at: https://www.theguardian.com/commentisfree/2018/jul/18/dark-money-democracy-political-crisis-institute-economic-affairs. Mounk, Y., & Kyle, J. (2018, December 26). What Populists Do to Democracies. The Atlantic. https://www.theatlantic.com/ideas/archive/2018/12/hard-data-populism-bolsonaro-trump/578878/. NaturalGasEurope. (2013, July 18). Karish: Israel's Latest Offshore Discovery. Available: http://www.naturalgaseurope.com/karish-the-latest-discovery-offshore-israel. Accessed 5 May 2014. Newport, F. (2018, July 18). Immigration Surges to Top of Most Important Problem List. Gallup. Available at: https://news.gallup.com/poll/237389/immigration-surges-top-important-problem-list.aspx?g_source=link_NEWSV9&g_medium=LEAD&g_campaign=item_&g_content=Immigration%2520Surges%2520to%2520Top%2. Rankin, J. (2018, February 12). How Hungarian PM’s Supporters Profit from EU-Backed Projects. Available at: https://www.theguardian.com/world/2018/feb/12/how-hungarian-pms-supporters-profit-from-eu-backed-projects. Rouget, A., Mathieu, M., Magnaudeix, M., & Orange, M. (2017, May 30). The Secret Story Behind Macron’s Campaign Fundraising. https://www.mediapart.fr/en/journal/france/300517/secret-story-behind-macrons-campaign-fundraising. Rucker, P., & Costa, R. (2017, February 23). Bannon Vows a Daily Fight for ‘Deconstruction of the Administrative State’. Washington Post. Available at: https://www.washingtonpost.com/politics/top-wh-strategist-vows-a-daily-fight-for-deconstruction-of-the-administrative-state/2017/02/23/03f6b8da-f9ea-11e6-bf01-d47f8cf9b643_story.html?utm_term=.66c871206b18. Taylor, P. (2015, June 8). Confronting ‘Illiberal Democracy,’ in Central Europe. New York Times. 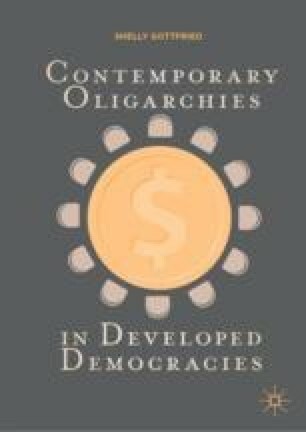 Available at: https://www.nytimes.com/2015/06/09/business/international/central-europe-confronts-illiberal-democracy.html. Vogel, K. P., & Schreckinger, B. (2016, July 9). The Most Powerful Woman in GOP Politics. Politico. Available at: https://www.politico.com/story/2016/09/donald-trump-rebekah-mercer-227799. Zuckerman, G., Hagey, K., Patterson, S., & Ballhaus, R. (2017, January 8). Meet the Mercers: A Quiet Tycoon and His Daughter Become Power Brokers in Trump’s Washington. The Wall Street Journal. Available at: https://www.wsj.com/articles/meet-the-mercers-a-quiet-tycoon-and-his-daughter-become-power-brokers-in-trumps-washington-1483904047. Accessed 15 July 2018.